Thu., Dec. 15, 2016, 5 p.m.
CHARLOTTE, N.C. – Panthers coach Ron Rivera says an MRI on quarterback Cam Newton’s right shoulder revealed no serious damage and he anticipates the 2015 NFL MVP will play Monday night against the Washington Redskins. Newton was listed as limited Thursday. Newton sustained the injury in Carolina’s 28-16 win over San Diego on Sunday, but Rivera wasn’t specific on which play. 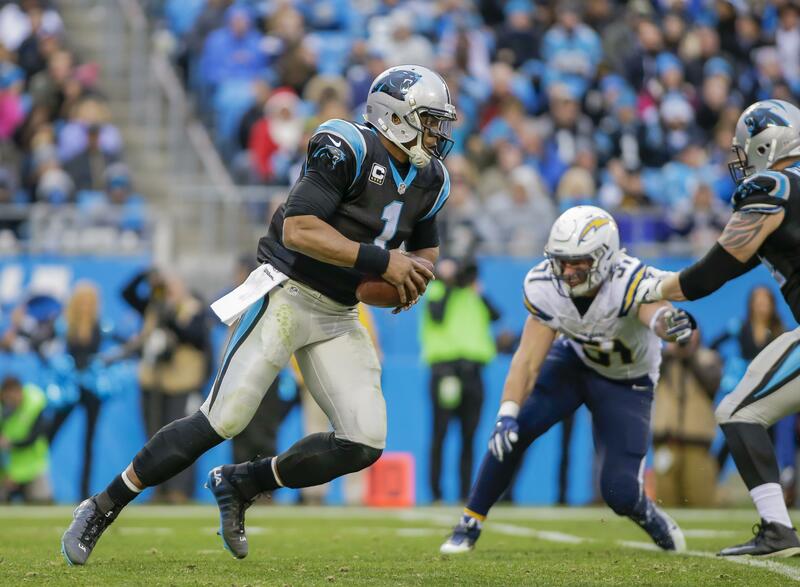 Newton has struggled of late, completing just 43 percent of passes his last four games. Wide receiver Kelvin Benjamin was also limited after hurting his back when he landed hard on the ground in practice Wednesday. Running back Jonathan Stewart (rest), defensive end Charles Johnson (hamstring) and offensive tackle Daryl Williams did not practice. Published: Dec. 15, 2016, 5 p.m.